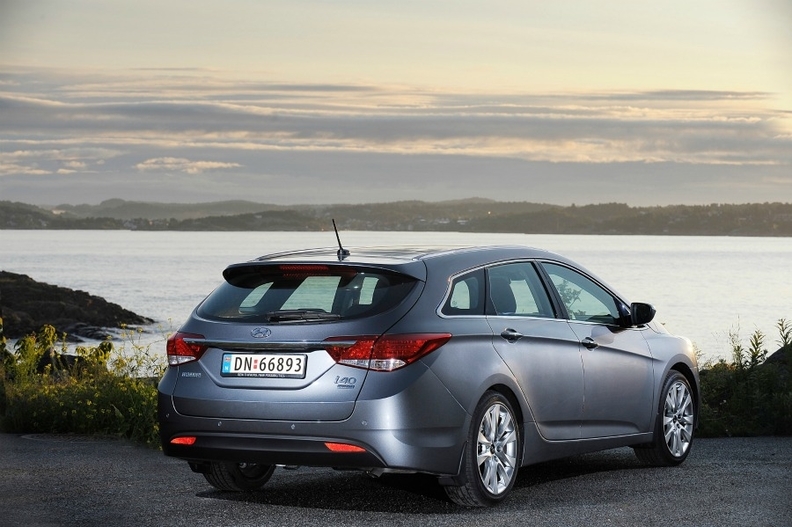 The i40 is a crucial model in Hyundai's ambitions to increase European sales by 40 percent to 500,000 units by 2013. With the stylish i40, Hyundai is aggressively targeting rivals such as Volkswagen, Opel and Ford in Europe's midsized segment, which is dominated by fleet sales. Hyundai launched the i40 first as a station wagon in July, as this body style accounts for 54 percent of the segment sales, the company says. A sleek, four-door sedan will be launched by year-end. "The i40 perfectly combines the four elements that have become core Hyundai values: styling, efficiency, practicality and performance," said Hyundai Europe CEO Allan Rushforth. The i40 will suit families and fleet buyers looking for versatility and cargo space, who place value for money over brand status. Hyundai aims for an annual i40 volume of 60,000 units from 2012 with 45 percent of sales to business customers. The midsized segment is Europe's fourth largest, with sales down 12.7 percent to 745,550 last year. The i40 shares its platform with the Sonata model, which is sold in the U.S. and other global markets. It was designed and engineered at Hyundai's European r&d headquarters in Ruesselsheim, Germany, and is derived from the Genus concept car unveiled at the 2006 Geneva auto show. The Genus represented Hyundai's vision for a midsized car that combined practicality with emotional design. It had a hexagonal grille, a feature that has since become part of Hyundai's brand face in Europe. "We matured the Genus concept into the i40, our vision of a truly unique European car," said Thomas Buerkle, Chief Designer at Hyundai's European technical center. 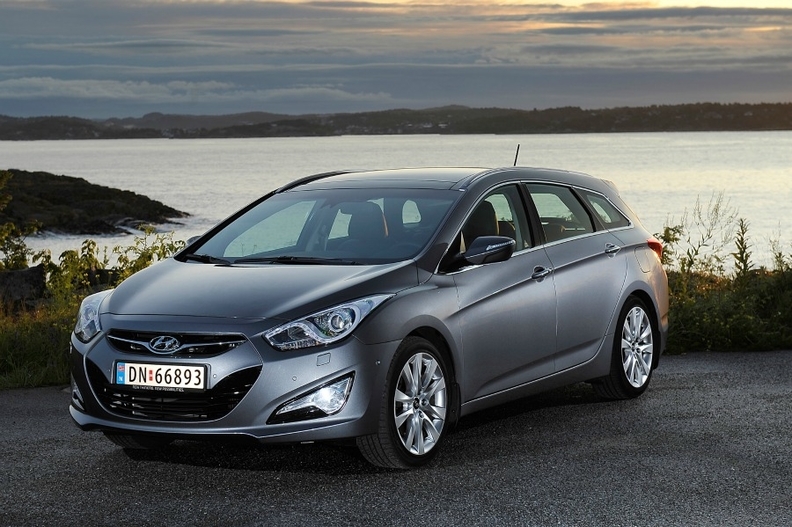 Why launched: The i40 fills a gap in Hyundai's European lineup. Target buyers: Families and fleet buyers looking for versatility and cargo space, who place value for money over brand status. New technology: Active park assistance, lane-keeping assistance, rear-view safety camera. Unique features: Air-ventilated front seats reduce temperature and humidity, a first in the volume segment. What's good? Rear legroom is better than some premium cars. What's bad? Performance (diesel variant 137hp, gasoline model 177hp) is modest for power-hungry markets like Germany. Launch date: Station wagon, July; sedan December. Main competitors: VW Passat, Opel/Vauxhall Insignia, Ford Mondeo, Citroen C5, Toyota Avensis.